It is a widely accepted fact that the twentieth century has witnessed unprecedented improvements in the aggregate health status of nations. For example, in India, life expectation at birth increased from 22 years at the start of the century to 62 years at the turn of the century, and infant mortality rates declined from 200 to about 62 (per 1,000) in the same period. 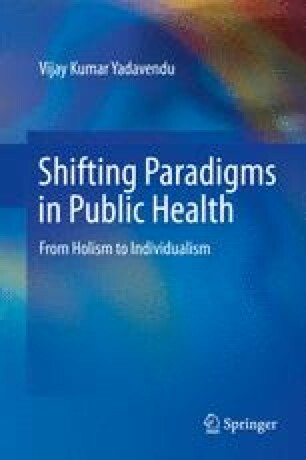 In the developed world, the ‘epidemiologic transition’, which reduced the infectious and communicable disease load of the population, took place when a sizeable proportion of budgetary resources was allocated to the health sector. Thus, in England, the United States and other developed countries, diseases like malaria, tuberculosis and cholera became virtually extinct. Even the developing nations placed a great deal of emphasis on better health services. For instance, India, after liberating itself from the colonial yoke in 1947, followed a mixed economy model in which state investments were channelled to the social sector in general and health in particular. Thus, all over the globe, the period from the latter part of the nineteenth century to the middle of the twentieth century marked the golden age of public health.